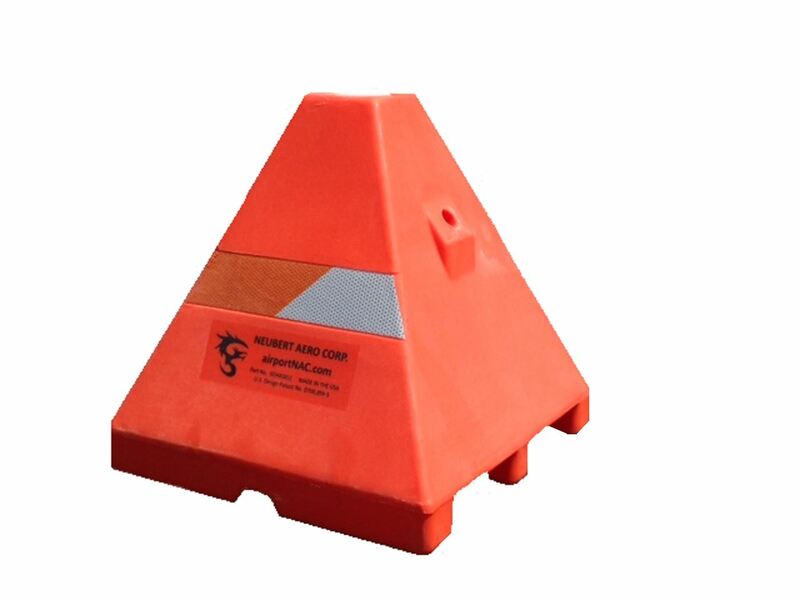 NAC's mini Dragon Tooth® is a portable non-metal airport traffic barrier. This 18”L x 18”W x 18”H barrier is constructed of the toughest, highest quality, ultra-violet resistant polyethylene plastic on the market. Our patented design gives airports the flexibility and features needed in responding to marking safe zones on “Both Sides of the Fence™”! NAC’s NEW mini-Dragon Tooth® is designed exclusively for airports and can be used to support airfield, terminal, and airside safety. Our patented design includes orange and white high intensity reflective sheeting, versatile warning flag mounts, and safety light mount(other accessories available). Made of UV-resistant polyethylene plastic and are extremely durable. Stackable for easy shipping and storage. mGD1612 barricade is molded, assembled and manufactured in the United States of America. 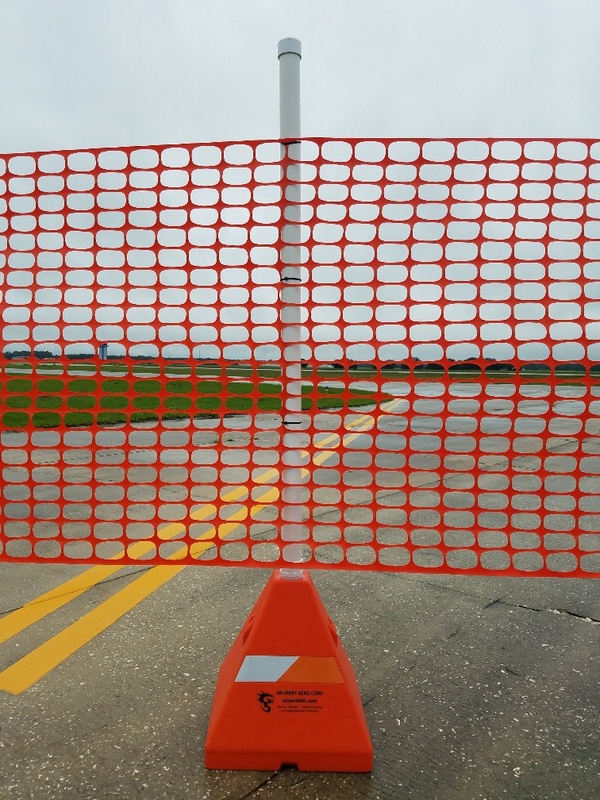 Use NAC's Green mini-Dragon Tooth® 1812 Airport Traffic Barricade to identify? **Airport logo stenciling is available - CALL TODAY FOR PRICING! mini Dragon Tooth® is a registered Trademark of Neubert Aero Corp. Minimum purchase quantity is five (5), for quantities greater than twenty-five (25) please contact our customer service team.